The fifth edition of the extreme motorsport, Offroad Maestro powered held at Nagaland concluded on Friday. The fifth edition of the extreme motorsport, Offroad Maestro powered by AON concluded on Friday (Nov. 30). In an update received, the event was flagged off at Naithu Resort on Nov. 28 after which the convoy of official, participants, crew and medical team headed for Noune Resort, which hosted the event and was also main venue of the event. This year’s event saw participants from Arunachal Pradesh, Meghalaya and also local competitors. The event was supported by Nagaland Disaster Management Authority. 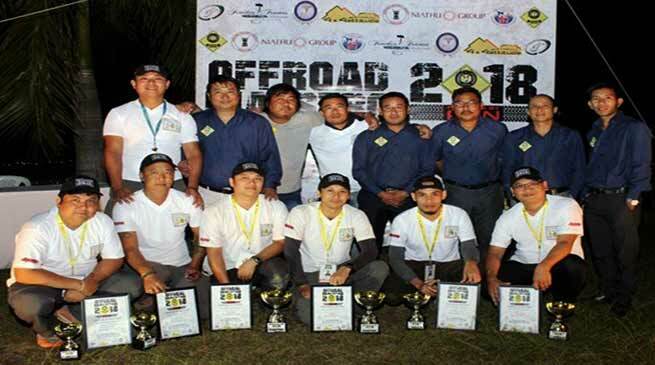 After three days of treacherous competitive stages, the 3 teams of Manubhum Off-Roaders Club of Arunachal (MOCA) came out victorious where Chow Ujjal Namshum and Chow Ingpeng Mein were crowned the champions of the event followed by Aditya Mein and Sujeewan Choutang as the 1st runners-up. Chow Tseng Tsing Mein and Purbajyoti Choudhury finished 2nd runners-up.